In the first period was introduced in mass sports movement, Vovinam training program divided into 3 class: primary – secondary – colleges. However, during the wars against the law of the country, not many people attending the program fully. The martial arts class usually lasts only openly 3 months, including exercises (10 movements), preparation tonnes hand edge, brawny biceps; Flying people, theater down, the elbows and knees; the acrobatic style, posture falls safely; so basically the counterattack and the entrance lock removed; 4 post but practice; How safeguard the combat arms (swords, sticks, cone, machetes); 21 single leg that is not taught in all but trained transplant. Mid-1950s, bringing Vovinam ambition and enthusiasm: “to serve the nation and humanity”, Founder Nguyen Loc and his followers went to the South, open the first martial arts class in downtown Saigon, Thu Germany, Dalat … While new Vovinam movement be established in the South and also challenging in the context of the country to be divided, Founder Nguyen Loc died suddenly seriously ill in 1960, handed over responsibility Services for senior disciple of Grand Master Le Sang colon. The period 1961 – 1975, movements lull early years and then recover and develop quickly thereafter. Grand Master Le Sang along with senior masters formed Executive Committee sect, stand out leader and executive to revive and develop the discipline. Based on the ideology and techniques, all copies of the late grandmaster Founding Executive Committee has added discipline, build a new training program for each level with the time learning and examination system, strict caste system and science. This time, Vovinam widely developed, strong and mature in many ways, both in terms of movement and quality of technical systems. 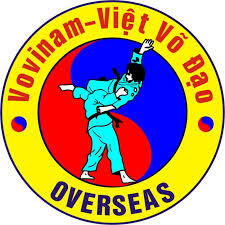 Since 1966, Vietnamese martial arts are put into the main teaching and extracurricular courses in the school system and was renamed Vovinam – Vietnamese Vo Dao to students, youth focused national spirit when preparation martial, almost striving train both mind – Tri – Fitness, to serve the cause of building and defending the country.